All of our standard stock products can be returned or exchanged within 30 days of receipt. In order to be acceptable for refund or exchange, products must show no sign of use (in new condition) and must be returned in their original packaging. We strongly recommend that you not use your new skates, gear, accessories, etc. until you are sure of the fit and suitability. We do not charge re-stocking fees on returns or exchanges. Standard stock products purchased between Oct 15th and December 24th can be returned for exchange or refund before January 31st. Products must show no sign of use (in new condition) and must be returned in their original packaging. Your sizing is guaranteed on all of our standard roller skates. If, upon receipt, your skates turn out to be a poor fit, we are happy to pay all of the shipping costs involved in the exchange. Please contact us and we will provide instructions on how to exchange the skates. This offer is limited to the first exchange after which point the customer is responsible for all shipping costs at regular Canada Post rates. Upon receipt of your protective gear or apparel, if you find that the fit is not good, or you would prefer a different model, we are happy to help you with an exchange. We ask that you send the gear back to us at your expense (unless an error was made by RollerGirl.ca). Once we receive it, we will cover the costs to ship the exchange gear to you. Parts and Accessories can be returned for exchange within 30 days of purchase. The customer is responsible for all shipping costs involved in the exchange of parts and accessories unless an error has been made on our part. Flat rate shipping only applies to the original shipment, subsequent shipments are billed at regular Canada post rates. Clearance Items are returnable for exchange or refund. The customer is responsible for all shipping costs involved unless an error has been made on our part. Flat rate shipping only applies to the original shipment, subsequent shipments are billed at regular Canada post rates. You may return any standard stock products for refund within 30 days of purchase. We ask that you return the items to us (at your expense), and we will refund you for the orignal purchase amount, less the initial shipping costs. Gift certificates are not eligible for refund. Please contact us and we will provide you with instructions on how to return your products. Delivery time is approximately 4-6 weeks. These items are built on request or brought in especially for the customer, and are therefore not considered standard-stock products. RollerGirl cannot guarantee sizing nor offer refunds on custom products or special orders unless an error has been made on our part. Our policy is to always communicate with customers who purchase custom roller skates before shipping, and we will do everything we can to ensure a good fit and an appropriate skate. Please do not hesitate to contact us with any questions you may have. 100% of payment must be received before the custom order is placed with the supplier, and after this point there will be no returns, refunds or cancellations. Despite our best efforts, occasionally mistakes happen. If there is an error on your order, please notify us within 7 business days of receiving your purchase. We will happily (and quickly!) fix any errors at no cost to you. Note that items sent to you in error must be in resealable condition in order to be exchanged. Please verify that you have received the correct items before using them. 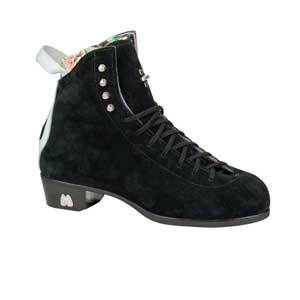 Your sizing is guaranteed on all of our standard roller skates. If, upon receipt, your skates turn out to be a poor fit, we are happy to split the shipping costs with you to exchange them. In other words, we ask that you send the skates back to us (at your expense). Once we receive them, we will cover the costs to ship the exchange skates to you. Please contact us and we will provide instructions on how to exchange the skates. This offer is limited to the first exchange after which point the customer is responsible for all shipping costs. Clearance items are not eligible for exchange (unless an error was made by RollerGirl.ca). Parts and Accessories can be returned for exchange within 30 days of purchase. The customer is responsible for all shipping costs involved in the exchange of parts and accessories unless an error has been made on our part. You may return any standard stock products for refund within 30 days of purchase. We ask that you return the items to us (at your expense), and we will refund you for the original purchase amount, less the initial shipping costs. Gift certificates are not eligible for refund. Clearance items can not be returned for refund (unless an error was made by RollerGirl.ca). The customer is responsible for all shipping costs involved in returning or exchanging a product unless an error has been made on our part. Delivery time is approximately 6-8 weeks. These items are built on request or brought in especially for the customer, and are therefore not considered standard-stock products. RollerGirl cannot guarantee sizing nor offer refunds on custom products or special orders unless an error has been made on our part.